Users get in, select a theme (winter, crazy, historical, etc.). 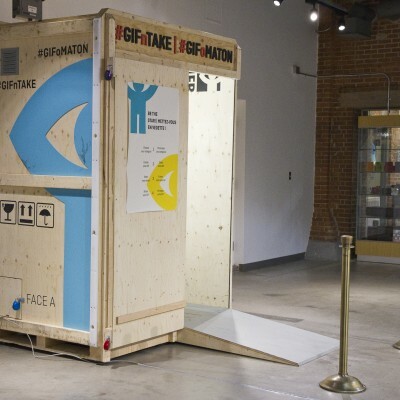 They are then integrated in a scene extracted from an NFB (National Film Board) movie. A depth camera allows them to interact with the main character of the movie while they are being captured. The scene is then processed into an animated GIF that users can receive on their mobile phones. 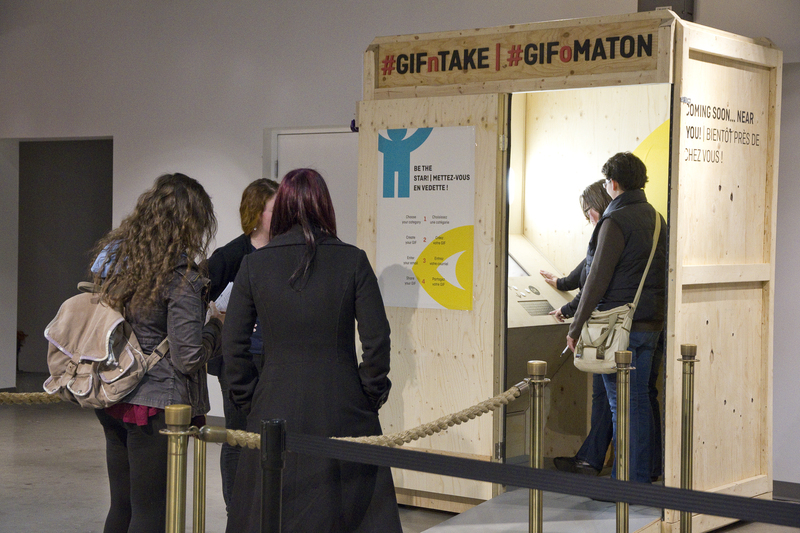 The GIFoMaton is travelling through festivals all across Canada and thousands of GIFs have been created. It is built to withstand extreme temperature.